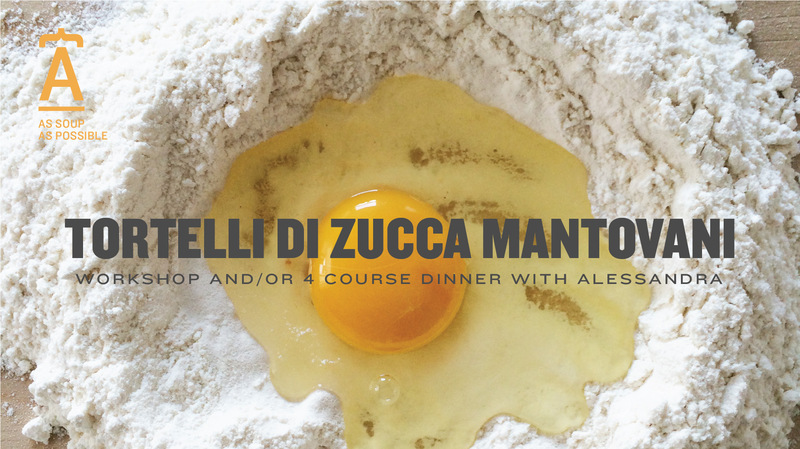 Alessandra is back to show us how to make tortelli di zucca, a traditional dish from Mantova (Mantua), her hometown. One of our returning members of As Soup As Possible local food community and my co-host for this event, Alessandra is from an area famous for homemade fresh pasta all’uovo, in both filled and plain shapes. The typical stuffed pasta from her hometown is “tortelli di zucca”, a very old dish based on surprising combinations of sweet and savoury flavours such as pumpkin, hard cheese and amaretti. 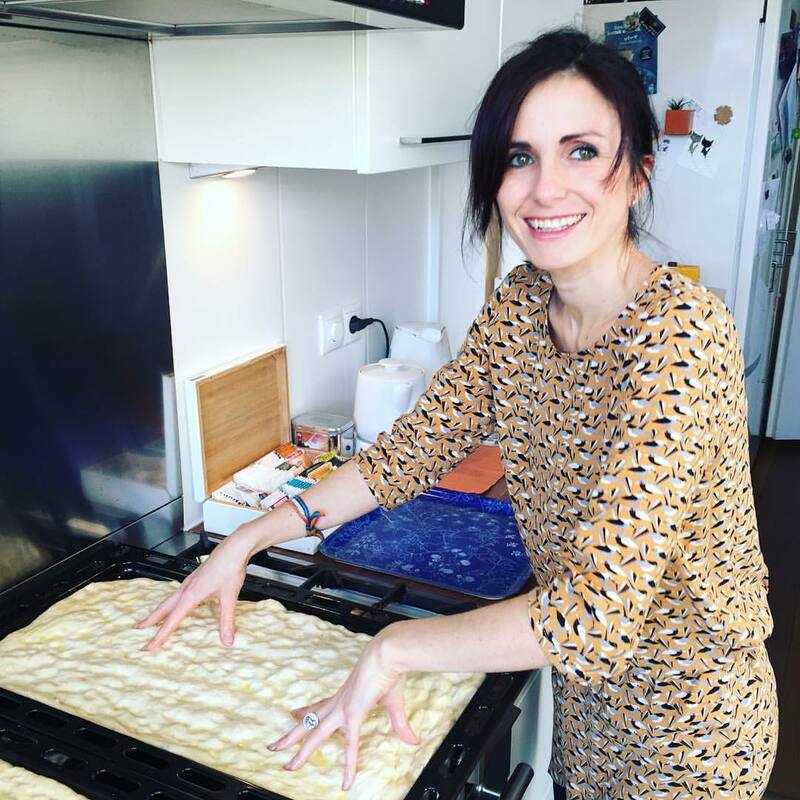 Alessandra will share her family recipe and tricks with us. We’ll learn how to make this traditional fresh pasta dish and enjoy a 4-course social dinner with wine. Cook with us or join us just for dinner: guests attending the dinner only are more than welcome. If you participate in the workshop, feel free to invite your friends to come enjoy your fresh pasta! As usual, after learning and practicing, we’ll move on to sharing a rich meal, wine and chats in a friendly and relaxed atmosphere. Tortelli di zucca and more. drinks: 2 glasses of wine or soft drink, 1 glass of dessert wine. We can accommodate up to 12 guests for the dinner only. Please make sure to book for your friends in advance. EARLY BIRDS – until February 28th at 23:59. REGULAR – from March 1st. This event allows for a limited number of participants and requires prepayment. Please fill the form below. You will receive payment instructions to perfect your reservation shortly. Please note: for organisational reasons, only RSVPs confirmed with payment within 48 hours are guaranteed. If you have any issue concerning the payment, or questions of any kind, please feel free to get in touch. This event will not be activated with less than 7 confirmed workshop participants.